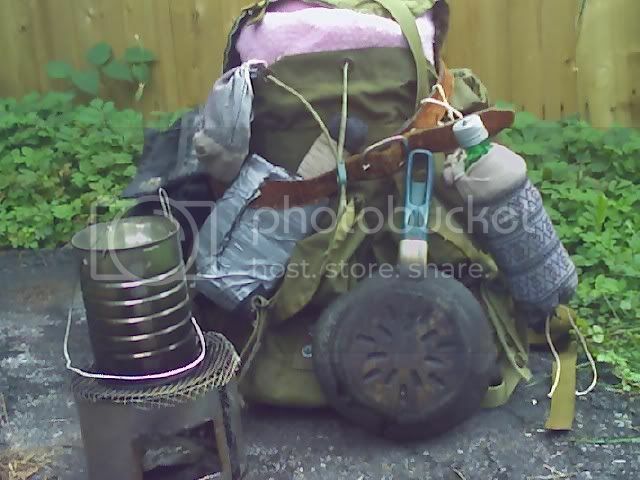 Camping with no Budget: The art of camping with junk! Welcome to Camping with No Budget! I put this site together because I really believe that everyone can benefit from experiencing the outdoors on a one to one level . The problem is many of us cant afford the cost of the high tech and high end gear that everyone seems to think is MANDATORY for a good camping, hiking, hunting or other outdoor experiences. Im here to tell you that those who say that are dead wrong! And to prove it to you, Im putting my money (or lack there of) where my mouth is!. Im going to show you in the following pages how you can get a basic outdoor kit together without breaking your pocket book and still come out with a decent rig. Some of the stuff here is to get your mind moving, other stuff is gear that I think would serve someone for many years to come. So now you have no excuse! 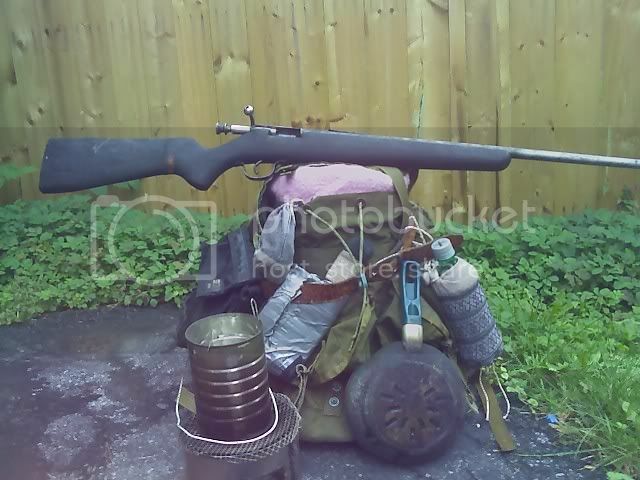 you can get out into the woods if you have the will, and the ingenuity to produce your own gear! I would like to thank all the good people on the Hoodlums forum for all the great comments and ideas over the years that lead to this site. In addition, It is vital that you develop the skills to USE the gear your making, and the best source for instruction by far is the Woodsmaster Series with Ron and Karen Hood! Safety Note: Be sure to wear safety glasses when working with tools! Also sheet metal can cut you as easy as a knife so use leather work gloves when making hobo stoves, cook cans or any other sheet metal product! Two old backpacks: one a kids backpack with a broken strap( good for extra materials) and an old medium Alice pack that had seen MANY better days but with a little TLC is serviceable. below is what I made with all of this. In all fairness, a lot of people who go into the woods want a decent rifle. Now this was not found in the trash, instead it was on its way to the trash and was intercepted by me. Apparently this Stevens Model 15A survived a house fire. the stock is blackened but serviceable and the gun itself is fully functional. The man who was going to throw it away gave it to me, thinking it would not work. I got it full of used motor oil and had to clean it for an hr. then boil out the bolt. When I got done, I had in my hand the most hideous looking firearm I have ever seen. I took it to the range and I hit the 10 ring with every shot! I have since put 300 rounds through it and I really like this fugly little 22!